To analyse the rationale of strong and weak effects of common hydromorphological restoration strategies at catchment, reach and local scales and to relate effects sizes to costs. To compare socio-economic costs and benefits at the project appraisal stage and compare them with actual expenditures. 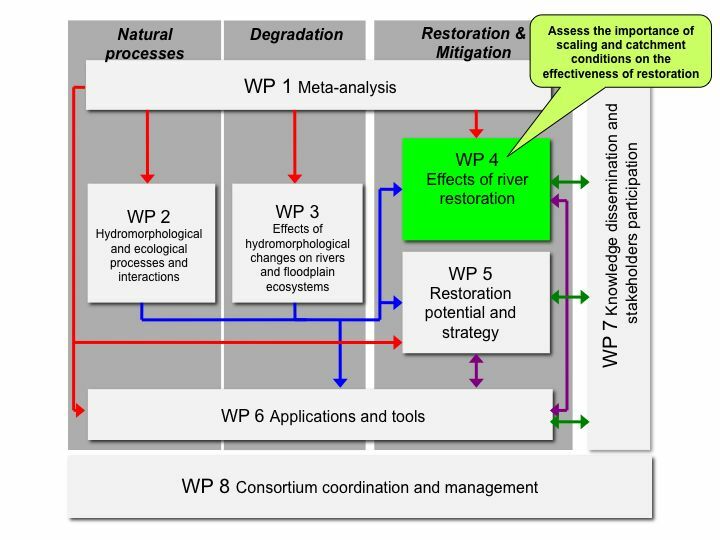 To test and improve standard protocols for evaluating the success of hydromorphological restoration, which are developed in WPs 2 and 6.